Learn the Fixation of open talar neck fracture using Stryker Variax implants surgical technique with step by step instructions on OrthOracle. Our e-learning platform contains high resolution images and a certified CME of the Fixation of open talar neck fracture using Stryker Variax implants surgical procedure. The case presented is a left open Hawkins III fracture of the talar neck. 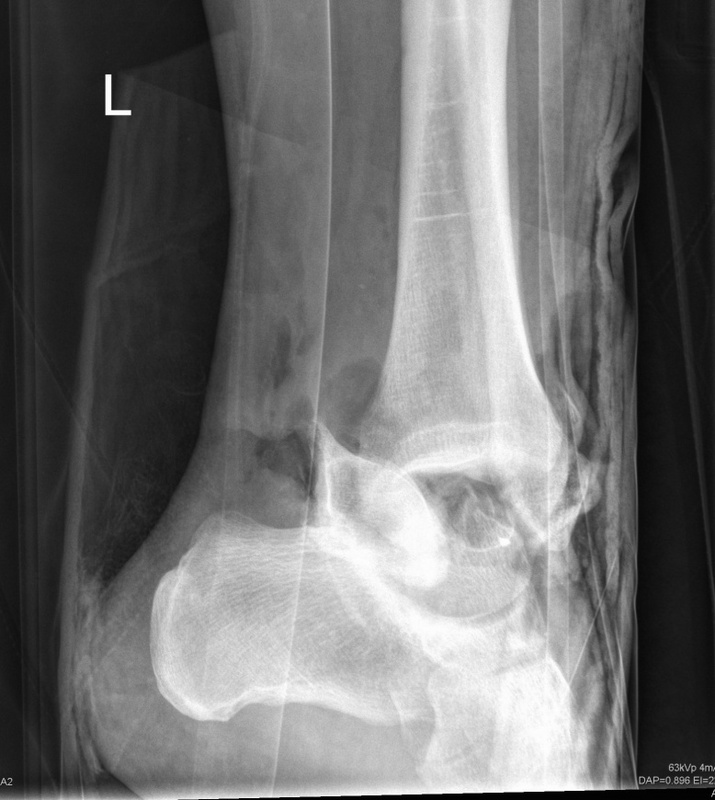 This 30 year old male sustained an open fracture dislocation of the left talus when crashing his motorcycle. His initial management was according to ATLS guidelines through the Resuscitation area of the MTC Emergency Department. He was noted to also have multiple rib fractures but no lung injury and an off ended closed right detail radius fracture. Initial management included lavage and reduction of the dislocation under entonox and application of a backslap cast. His wrist was also manipulated and placed into a temporary cast. He was taken to the operating theatre within 2 hours of presentation. There his wound was debrided, the fracture was debrided of contaminants including road grit and after wound closure a bridging delta External Fixator was applied. The reduction was adequate but imperfect and in order to allow for earlier mobilisation and anatomic reduction Open Reduction and Rigid stabilisation was required. A second CT scan (after the initial resuscitation scan) was obtained with the external fixator in Situ. This was to determine with more detail the nature of the injury and to plan operative intervention. A syndesmosis injury was also diagnosed at this stage. Gas can be seen in the soft tissues. The lateral wound was clean and dry by 4 days. The external fixator allowed the wound to be inspected without a cast being in place. The patient developed a pyrexia secondary to his chest injury at day 4 and so surgery was delayed until day 6 when he was apyrexial and his chest had improved. Plans were made for definitive fixation though this was delayed for further 48 hours due to a pyrexia secondary to chest infection. Definitive surgery was conducted at day 6.